Busy Bees at Yerrabi Ponds features warm and inviting open plan rooms and a spacious outdoor area where children are encouraged to play and ignite their natural sense of curiosity and discovery. 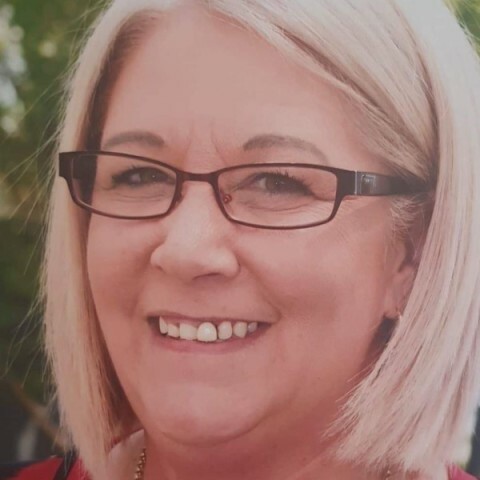 Wendy Mackay is our appointed Service Manager, bringing her outstanding qualifications, years of experience and passion for Early Childhood Education. Wendy is backed by a team of 20 Educators, with the Service offering 90 licensed places each day. Located near the Mulligans Flat Nature Reserve, the Service is nestled among parklands and our Bush Kindy days provide children with plenty of opportunities to explore and respect the natural environment. Our Service was developed to ensure that children are being provided with plenty of exciting opportunities and challenges for them to play and grow. Busy Bees at Yerrabi Ponds encompasses an innovative approach which is based on the discovery and exploration of respectful relationships with children. We provide children with uninterrupted time for play, plenty of freedom, and stimulating areas that encourage respectful play time in small groups. When they’re tired from exploring, learning and making new discoveries, our children are supported by a qualified on-site Chef who will ensure they are nourishing their bodies as well as their minds. Hi, my name is Wendy and I’m the new Service Manager at Yerrabi Ponds by Busy Bees. I hold a Bachelor of Education (Early Childhood) and my Diploma in Children’s Services. Prior to joining Yerrabi Ponds by Busy Bees, I worked as a Centre Director, Educational Leader and ECT in Canberra for 6 years. I established my career in Early Childhood Education working at various Early Learning centres and preschools in Melbourne and Adelaide. I’m looking forward to leading a dedicated team who share my belief in the importance of the first five years in a child’s life, and the capabilities of the youngest children who attend Yerrabi Ponds by Busy Bees. All of us learn throughout our lives; it starts from the day we are born. It’s now recognised that the early years of life are the most important for learning. That’s when the foundations for the future are laid, and when we begin moving down the path that will take us through childhood, the teenage years, and ultimately into adulthood. Loris Malaguzzi, the founder of the Reggio Emilia early childhood programs, called for the rights of children with an unwavering conviction and professed that children must be seen as powerful, competent and resourceful. My aim is to provide an environment that encourages children to truly be themselves and bring what they already know to share with others. Where children learn how to express themselves through many languages and enjoy becoming part of a community that values respect, trust and collaboration. I am focused on building a strong community of children, Educators and families at Yerrabi Ponds, and am particularly influenced by the principles, philosophy and teachings of the Reggio Emilia School in Italy. The ideas from Reggio Emilia are innovative, complex, intriguing and highly inspiring, yet not always easy to grasp and translate into every day practice. I hope to one day visit the schools in Reggio Emilia to further my understandings and fulfil a dream. I’m looking forward to getting to know you, alongside the learning community at Yerrabi Ponds.